Last night, I was watching my favorite show, Master Chef, and one of the guys on there royally screwed up biscotti. 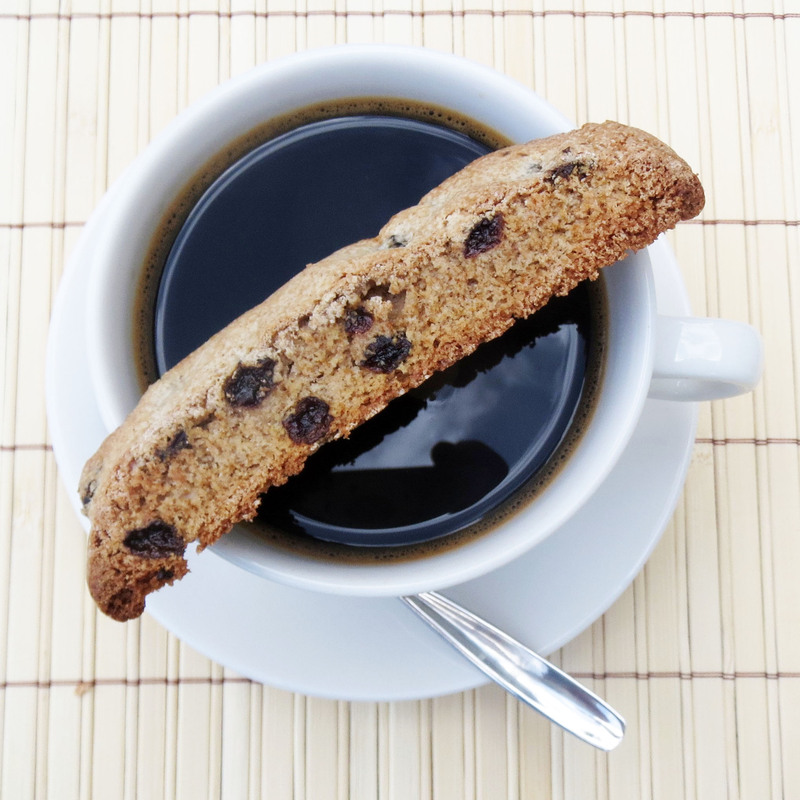 A biscotti is a twice baked cookie, and the poor contestant only baked it once. I haven’t made biscotti for a while, and I was inspired to make some. 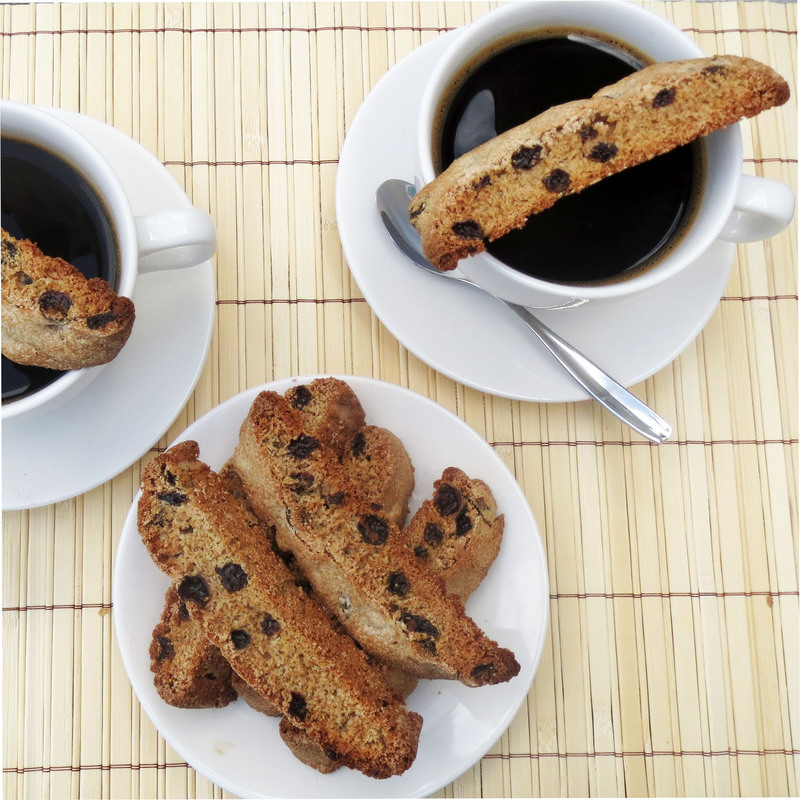 I found a great recipe in the September 2005 issue of Bon Appetit for Cinnamon Rum-Raisin Biscotti. It just sounded good, so, here we are. 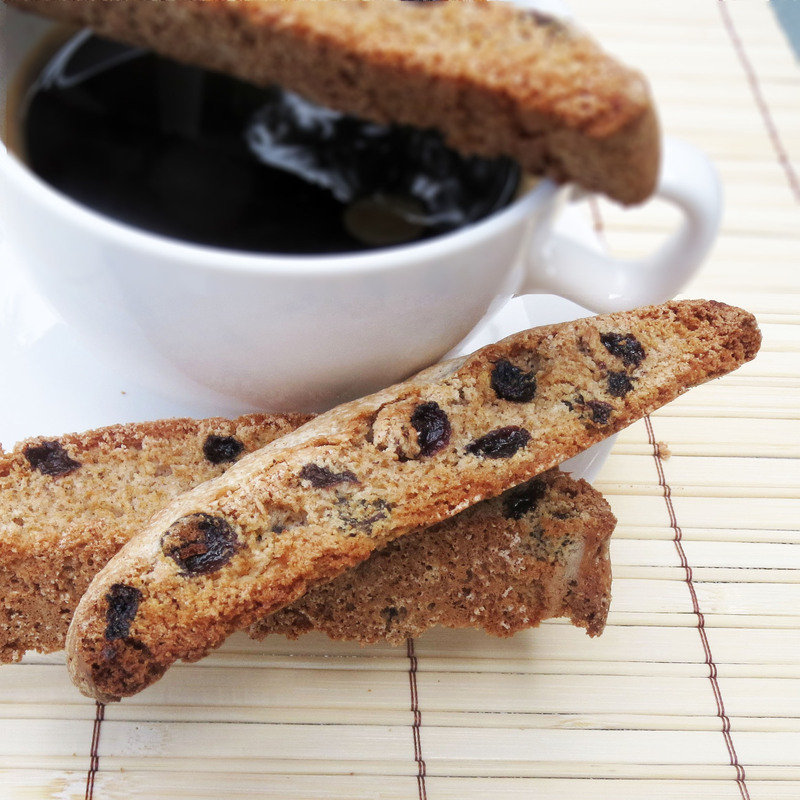 There are a few beautiful things about biscotti. First, the twice baked process makes them very dry and they store (in an airtight container) for a very long time. Another beautiful thing is that they have no butter/oil/fat in them, so you don’t feel so guilty eating them. 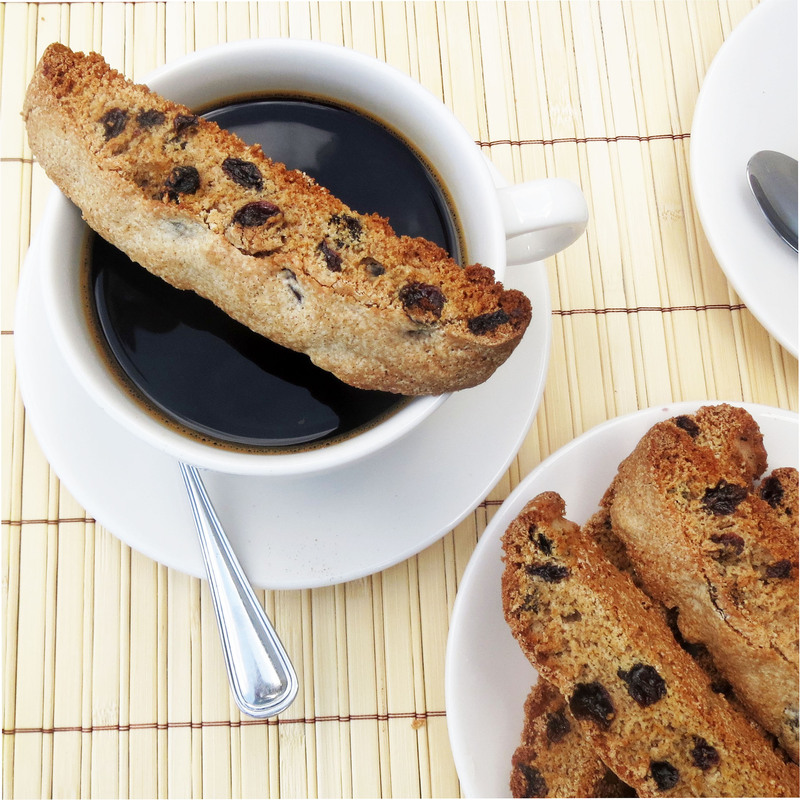 And the most beautiful thing about biscotti is the way it tastes when you dunk it into a nice cup of coffee or tea. 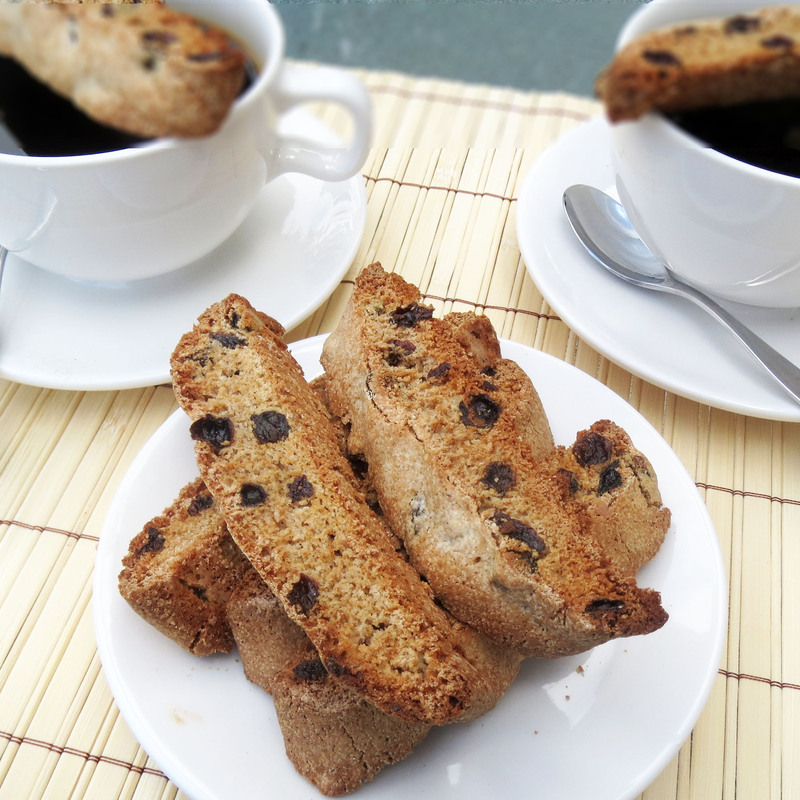 This particular biscotti turned out to be my favorite, ever. It has a great cinnamon raisin flavor, sweet, almost like an oatmeal raisin cookie, with the faint flavorings of the spiced rum. I like them very much. Hope you like them too. Enjoy. Preheat the oven to 375°. Line a cookie sheet with parchment paper, or lightly grease it. With a hand mixer or a kitchenaid mixer, beat the egg and the sugar for 3-4 minutes until it is very light and thick. Add the rum and the vanilla and beat for one more minute. Sift in the dry ingredients and mix together well. Mix in the raisins. Turn the dough out onto your baking sheet, and with damp fingers, form it into a log about 2 inches by 11 inches. Place in the oven and bake for 15-20 minutes until lightly golden and feeling firm. Remove from the oven and let it sit for 15 minutes. Maintain oven temperature. After 15 minutes have passed, place the log onto a cutting board. Using a serrated knife. cut the cookies at an angle into 1/3 inch wide slices. Arrange the slices on same baking sheet, and bake for about 7 minutes until lightly golden. 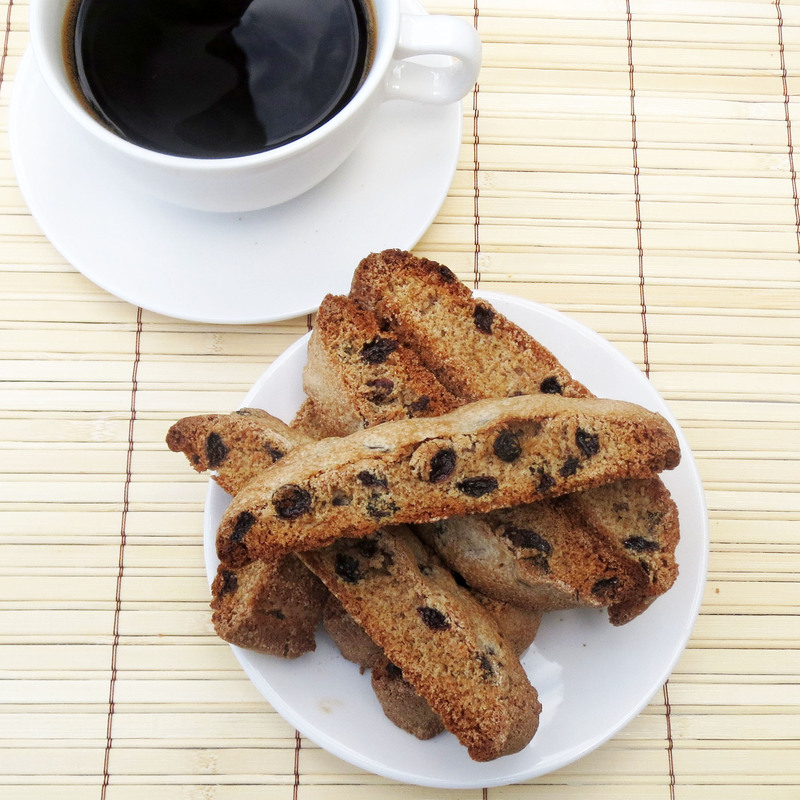 Remove baking sheet from oven, and flip each biscotti over. Bake for an additional 5 minutes, and remove to cool. Store in an airtight contaner.